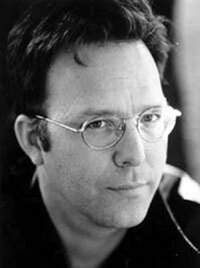 Garth Nix is an Australian author of young adult science fiction and fantasy novels with his most notable being the Old Kingdom Series, the Seventh Tower series, and The Keys to the Kingdom. Born in Melbourne, he grew up in the Australian capital (Canberra). At the age of 19 he travelled around the UK in a "beat-up Austin with a boot full of books and a Silver-Reed typewriter" before returning to Canberra in 1984 to attend the Canberra university, gaining a Bachelor of Arts degree in professional writing in 1986. After moving to Sydney, he became involved in the publishing industry and eventually became a senior editor in 1991 with HarperCollins Australia. In 1993 Nix left his job to travel overseas for a while. he returned in 1994 and worked for a IT PR and marketing firm until 1996 when he co-established his own PR firm Gotley Nix Evans Pty Ltd.
1998 saw him begin to write full time until he became a part time agent with Curtis Brown. In 2002 Nix went back to writing full time and has continued ever since. 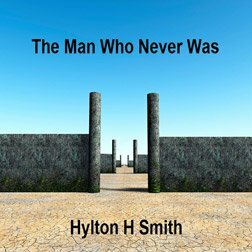 He has worked in various careers, as a part-time soldier in the Australian Army Reserve, and as a bookseller, book sales representative, publicist, editor, marketing consultant and literary agent. Nix has had a great deal of success as a writer of young adult science fiction and fantasy with his novels published all around the world, translated into 36 languages and have appeared on bestseller lists including the New York Times, The Australian, Publishers Weekly, The Bookseller and the Sunday Times. He currently lives near Coogee Beach, Sydney, with his wife, Anna, and his sons, Thomas and Edward Nix.